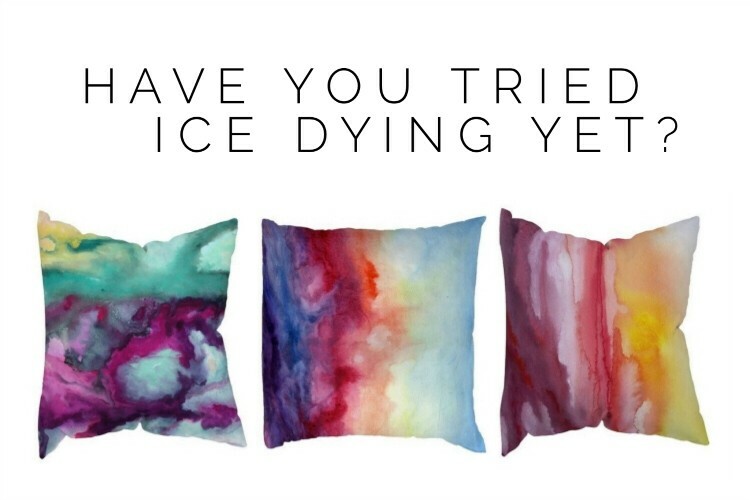 You know those fabrics that you see and immediately fall in love with? 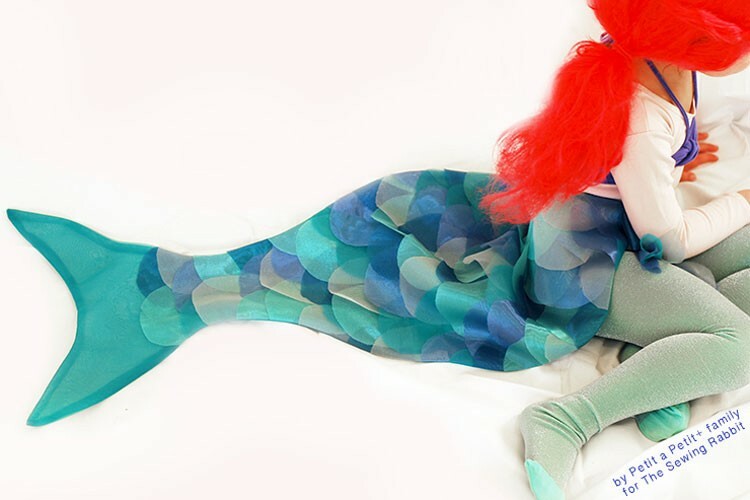 This was one of those fabrics for me. Definitely different then what my eyes are normally drawn to, I just loved the large floral pattern in striking chocolates, plums, and golden hues. It had a vintage vibe that I adored, and it simply needed to come home with me. 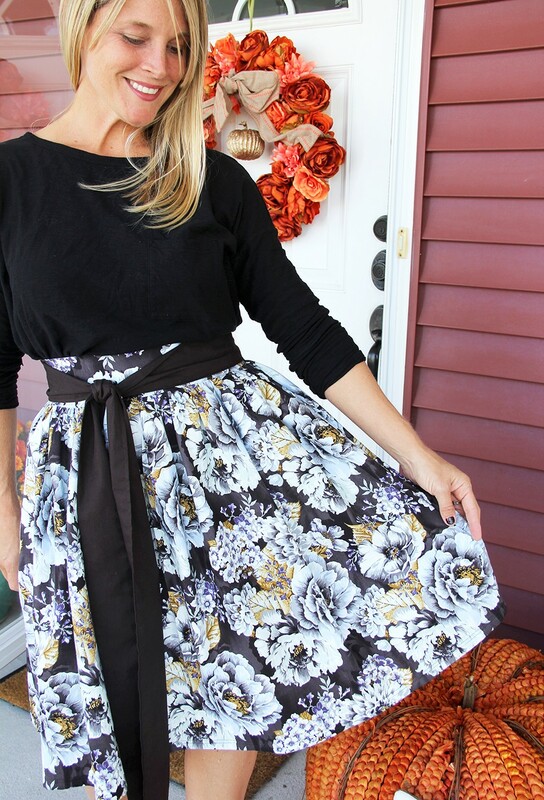 I immediately set to work to create the perfect Thanksgiving day skirt. Measure your waist circumference. Divide that number in half, and add 1”. This will be your waistband pattern measurement. Cut (2) waistband patterns, your measurement wide x 7” long. Cut (2) pieces of interfacing as well. Measure from your natural waist down to just below your knee, then add 1.5”. This will be your skirt length. Cut (2) skirt panel pattern pieces your skirt length x width of fabric. My skirt length was 24”, I cut (2) 44” wide x 24” long front and back skirt panels. Lastly, cut (2) skirt sash pattern pieces 54” long x 7” wide. 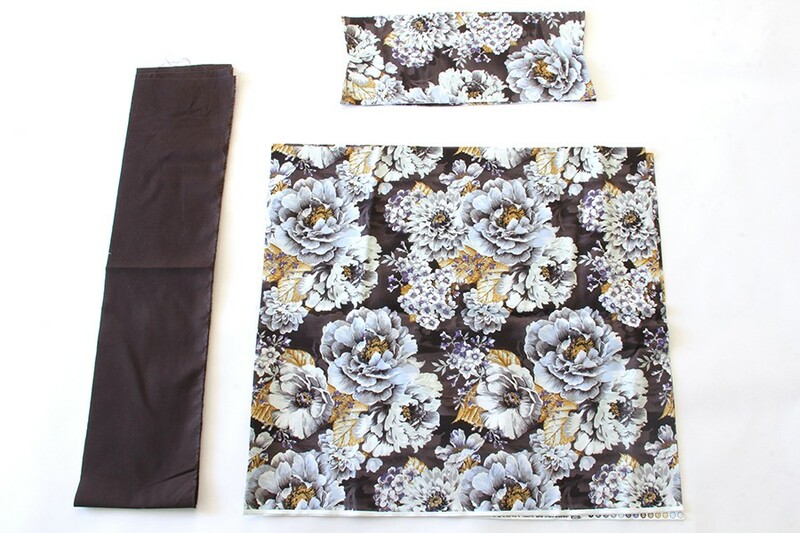 *You can piece the skirt sash pieces together if you only have 1 yd of coordinating cotton. Place skirt panels right sides together, matching up the side seam. Pin and sew ONE side seam. 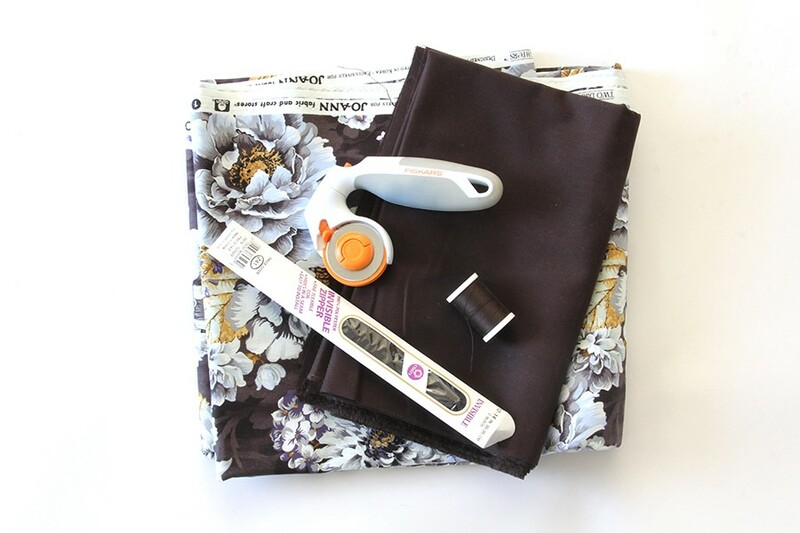 Finish seam with either a serger, zigzag stitch, or pinking shears and press. 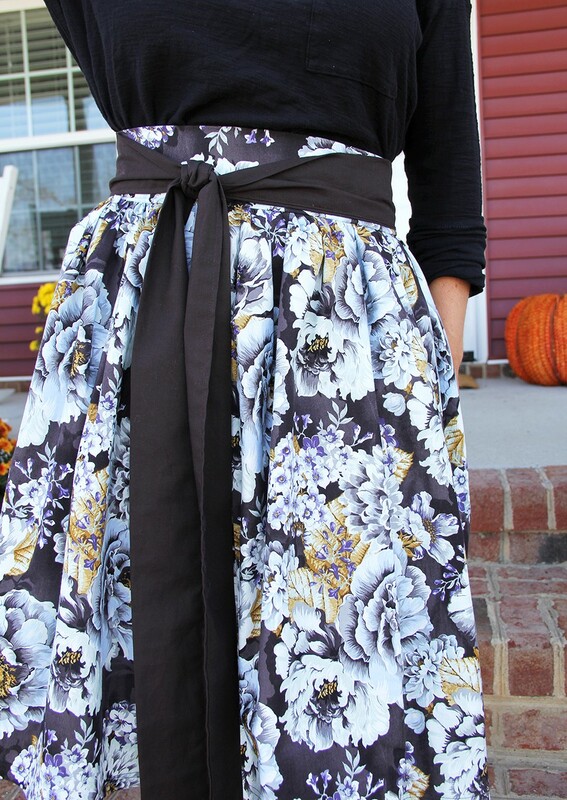 Sew a gathering stitch along the top of your skirt, ¼” away from the edge, and gently pull the bobbin threads to gather. 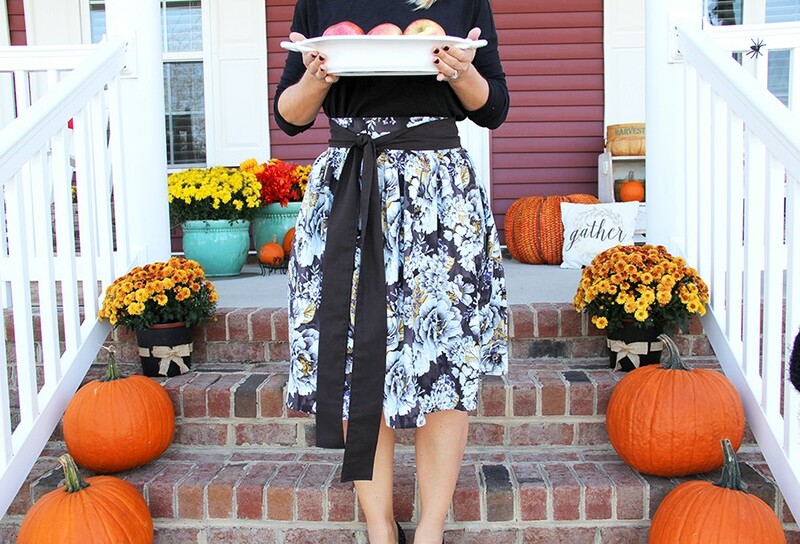 Spread gathers evenly, until your skirt is approximately the same width as your waist circumference. 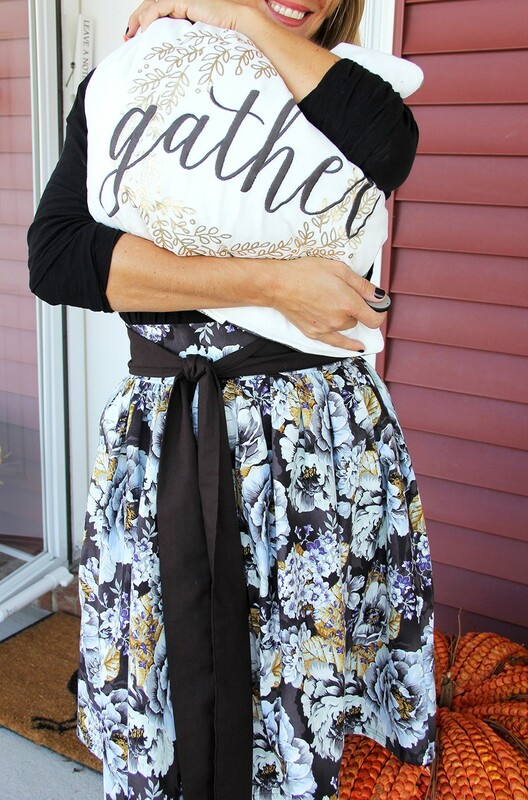 Fold your sash in half right sides together, matching up the long outer edge. Pin and sew. Use a safety pin to turn fabric tube right side out and press. Fold in one outer raw edge and press, sew around to secure. Repeat for other sash pattern piece. Following the instructions on your interfacing, adhere interfacing to the wrong side of your waistband pattern pieces. Place the unfinished edge of your sash along the bottom side raw edge of the front waistband pattern piece, ½” up from the bottom. Pin in place and baste stitch ¼” away from the edge to secure. Repeat for opposite side. Place waistband pattern pieces right sides together. Pin one side edge and sew, leaving the other edge open. 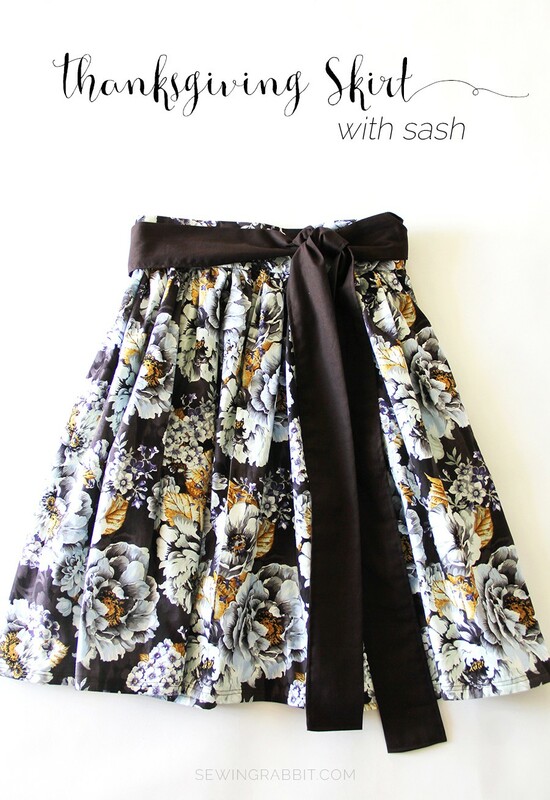 Place the waistband right sides together with the top gathered edge of the skirt. (The sash should be on the side closest to the skirt’s top edge.) Pin in place and sew. Cut seam allowance to remove excess bulk, and press waistband and seam up. 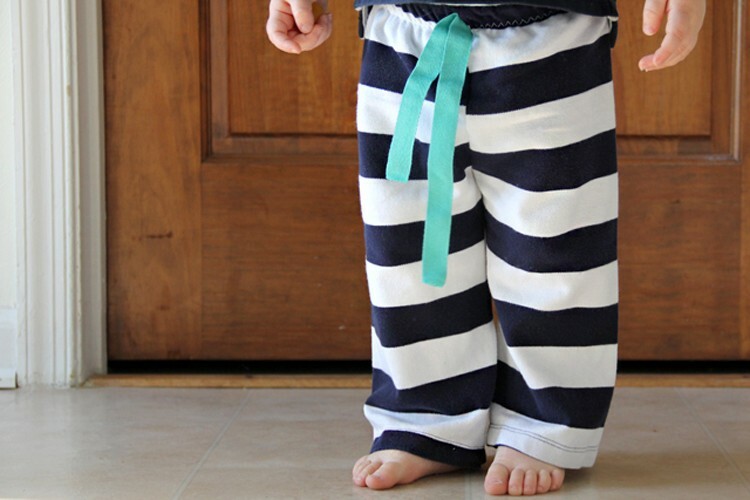 Fold the upper edge of the waistband ½” towards the wrong side and press. Finish open side raw edges of the skirt with either a serger, zigzag stitch, or pinking shears. 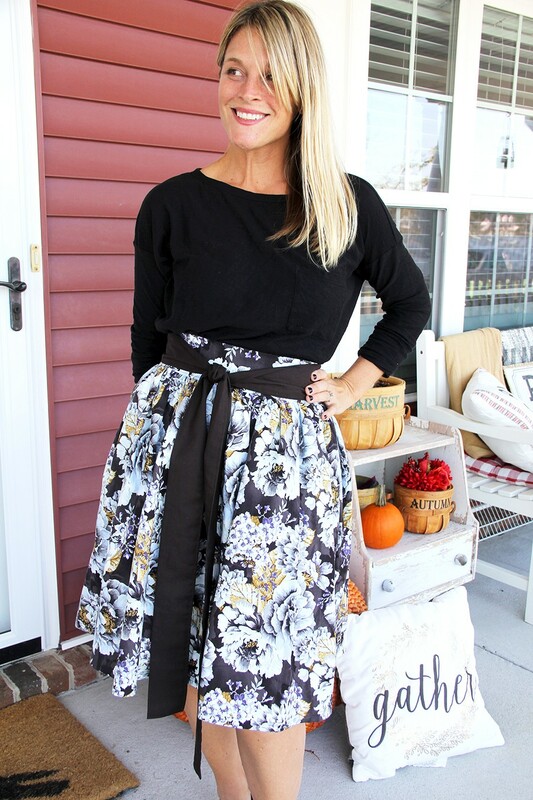 Sew invisible zipper to the top open side seam of the skirt, with the top stop of the zipper going to the very middle of the waistband. (For additional help with how to sew an invisible zipper, see this incredible DIY by Tilly & the Buttons. Once zipper is in place, pin and sew the bottom side seam together. Press seam open, and sew a line over the bottom of the zipper to secure in place to the skirt seam. Trim off any excess zipper. 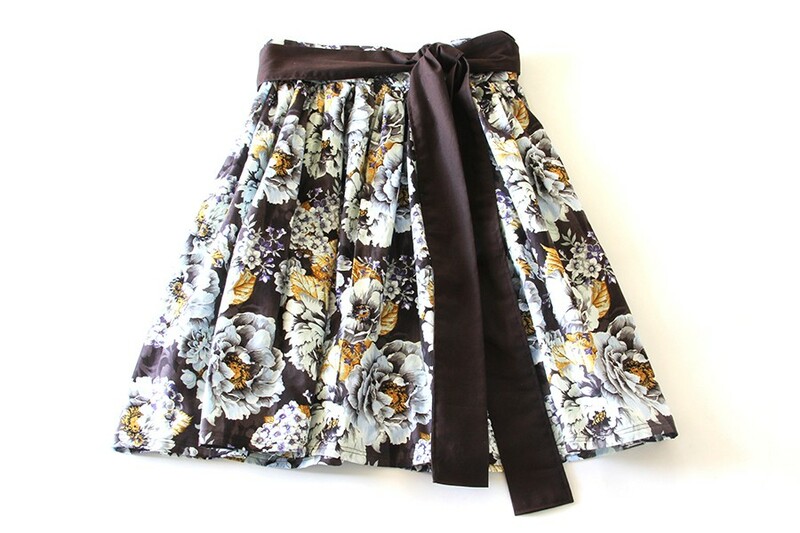 Hem the bottom of the skirt by folding ¼” towards the wrong side and pressing. Fold again ½” towards the wrong side and press. Sew around. I don’t know about you, but I am VERY thankful for new fabric. May your Thanksgiving be filled with good food, love, and laughter as you gather your friends and family around the table this holiday.